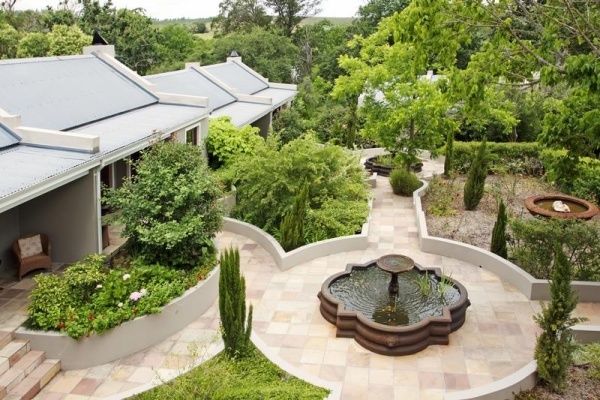 Schoone Oordt Country House is a luxury small hotel in the country town of Swellendam. “Relax. Replenish. Rejuvenate.” is the perfect formula for a satisfying getaway in the countryside at an immaculately groomed Victorian gem, providing great food and wine and caring service to its guests. Luxury bedrooms are set in the gardens, with special units for families and honeymooners. Cool down in a sparkling saltwater pool, and dine well at an intimate Conservatory restaurant. Swellendam and surrounds have much to offer by way of arts, crafts, heritage and nature. There's currently no specials at Schoone Oordt Country House. Schoone Oordt does not have formal conference facilities.